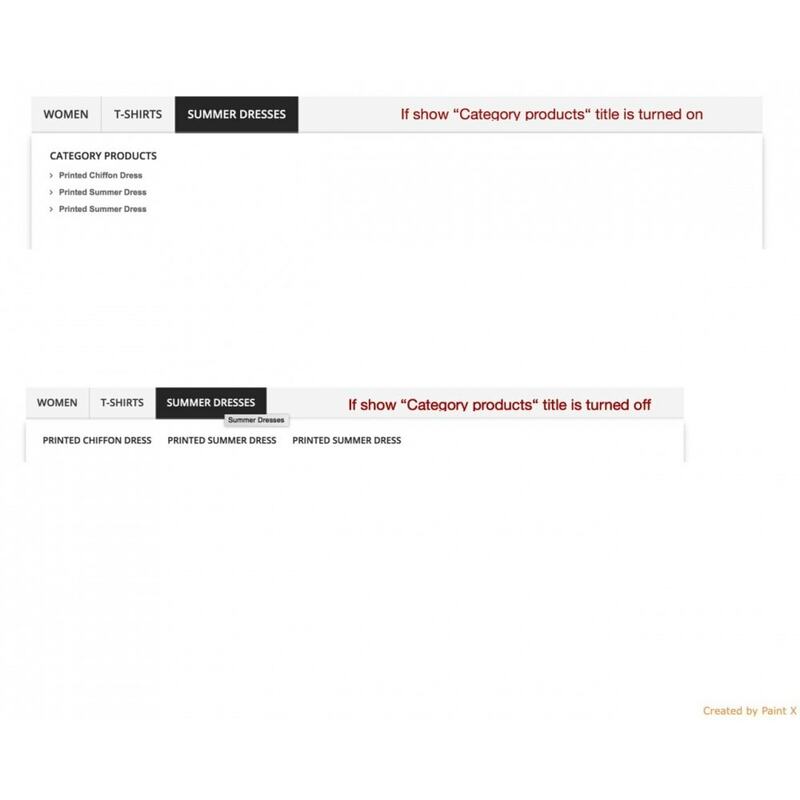 Module extending top horizontal menu to list all products from selected categories. 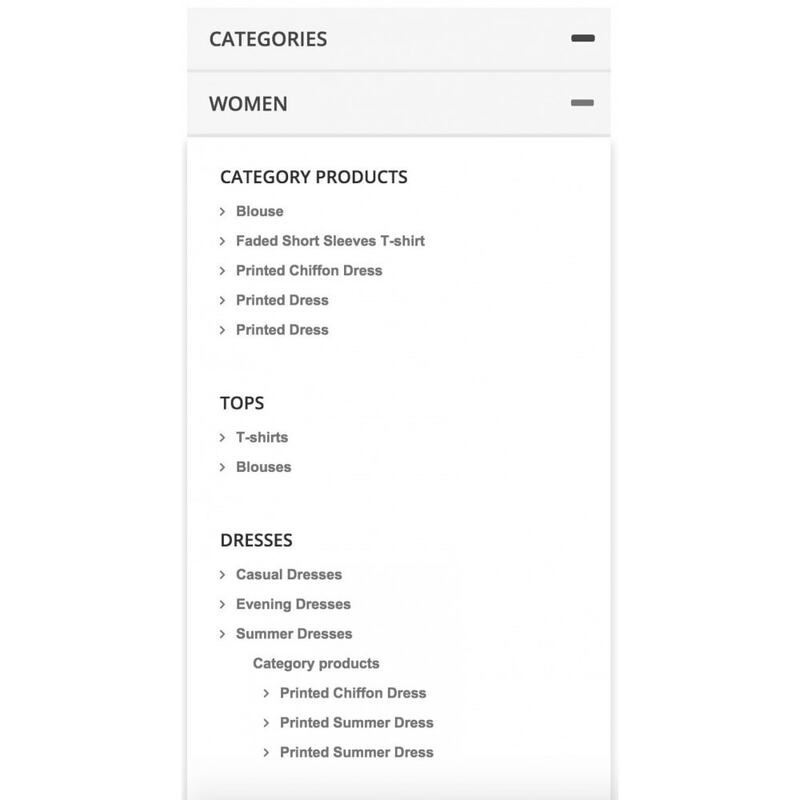 Merchant can display all products of the selected category in the top menu directly under this category. 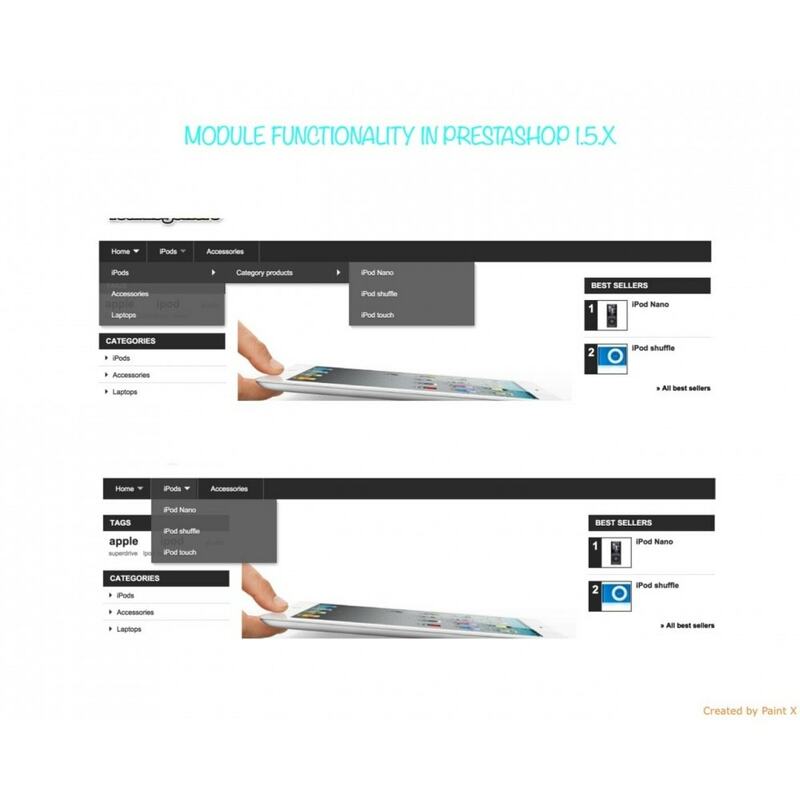 Module is fully responsive in prestashop version 1.6 and higher. This module is depending and cooperate with blocktopmenu (Top horizontal menu) module, which is default module in prestashop for generate main top menu. 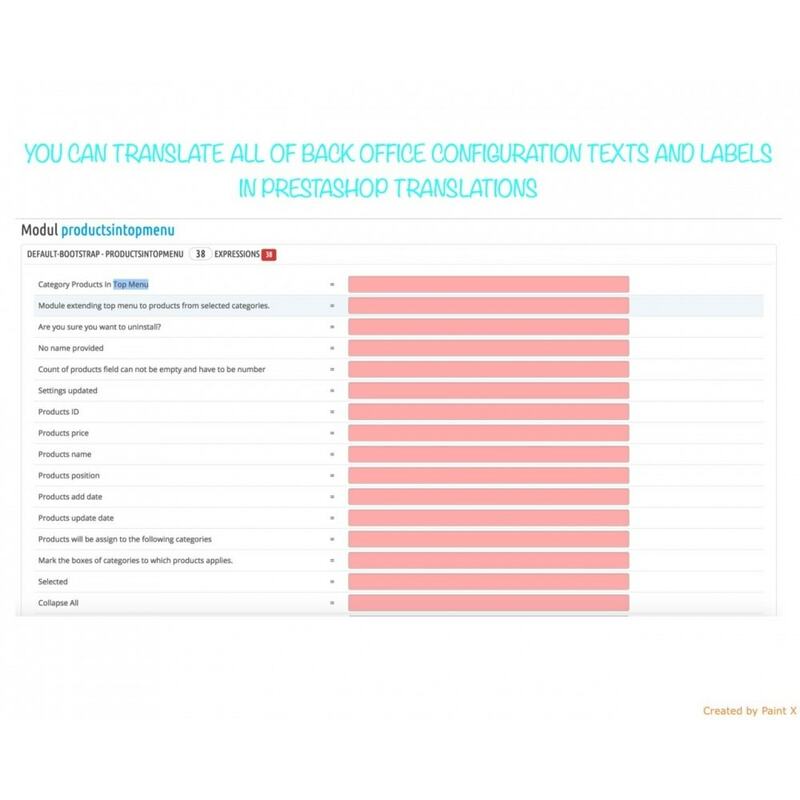 Customers could find your products in top menu grouped under their own category. 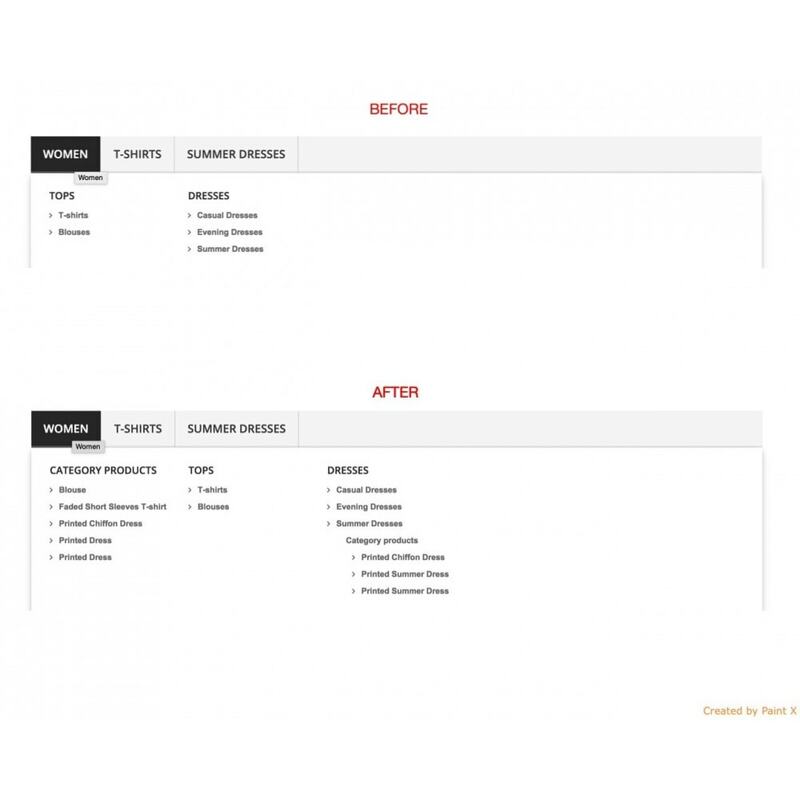 It is not necessary to go into the detail category and choose some of the product.